We’re going to be honest. 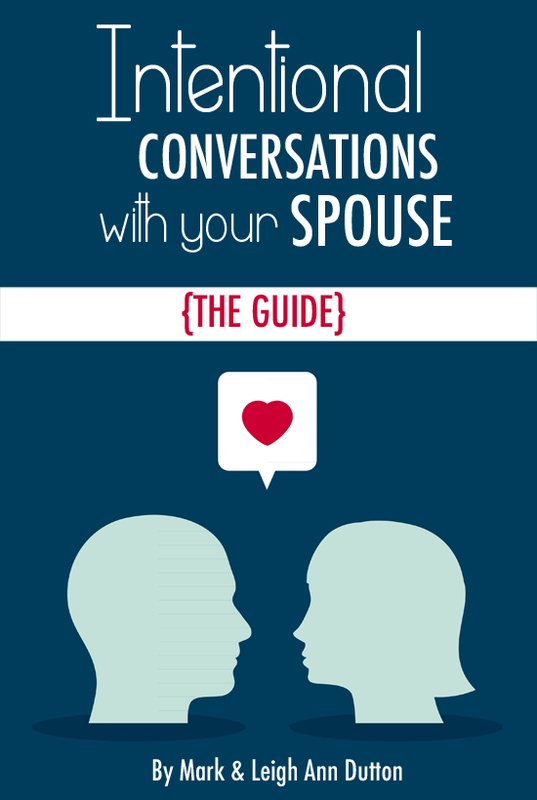 Reading books about marriage is something we’ve done (and occasionally still do), but it’s not necessarily something we love to do or set goals to do on a regular bases. We prefer to just read and study what God’s word says about marriage, our roles, and our relationship with one another. That sounds so arrogant, but it’s not the way we mean it. We’ve just not read many marriage books that don’t leave us confused and wanting, but reading God’s word always fills and encourages our hearts, growing us closer to God and to each other. God’s Word never leaves a bad taste in our mouths. It never leaves us confused about why God created us each individually the way that He did. It always leaves us desiring to glorify Him with our marriage by allowing His word and His Holy Spirit to change us from the inside out. But with marriage books, there’s so many differing opinions out there on what makes a “good” marriage book. Or more importantly, what makes a biblical marriage or not. The lines blur between sticking to biblical principles and infusing personal values and convictions into the books. Sometimes marriage books can be too prescriptive, and even more often we walk away trying to fit the mold of someone else’s (albeit educated) opinion, instead of seeking God for His wisdom for our marriage based on the principles and teachings from His word alone. 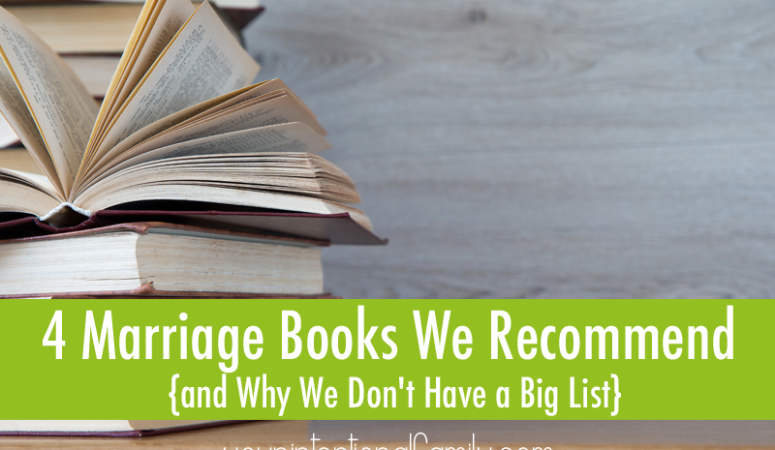 We believe the authors of marriage books mean well. We also think there is a time and place for reading books on marriage in order to gain some perspective, and we believe God gifts men and women to write marriage books for His glory. We really do! Even though there are plenty of confusing books out there on marriage, we don’t throw the baby out with the bath water, so to speak. There are some marriage books we’ve read that have been helpful, and there have been seasons of our lives when marriage books were an invaluable tool of discipleship for us. Therefore, we share this list with the caveat that we do not agree with everything written in each and every one of these books. However, we do think there is much wisdom to be gained from these authors’ perspectives. If you’re committed to reading with discernment and willingness to test everything against the word of God and pray for His wisdom on how to apply what you’re learning, then we believe these books can be beneficial to marriages. 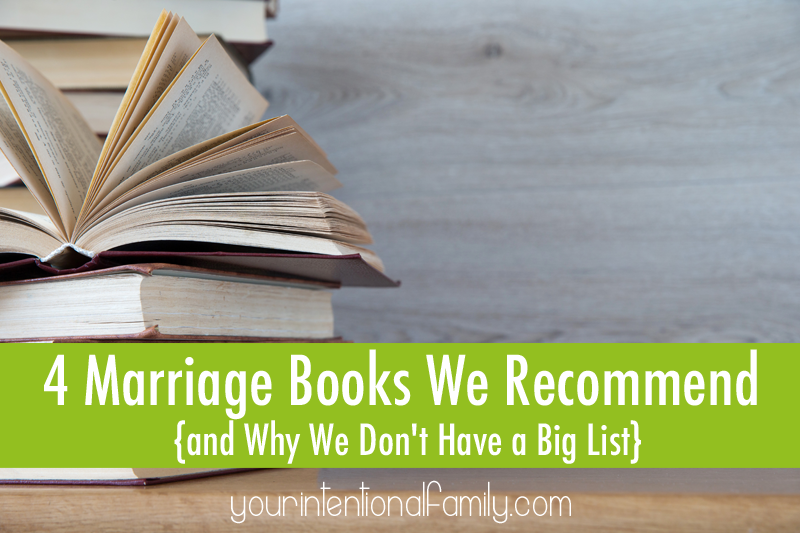 What marriage books have you read that you can recommend? This posts contains our affiliate links. See our full disclosure policy here. These are all great. I agree about not liking very many books. They so often are full of personal opinion which can be confusing. 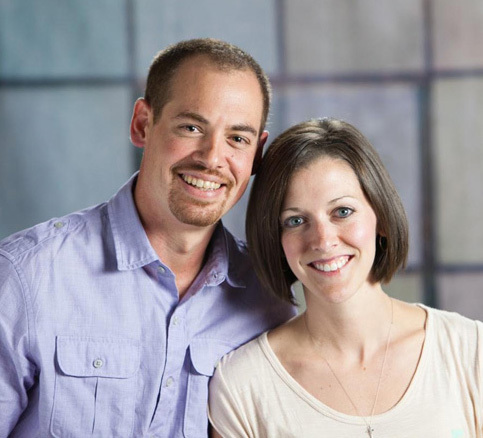 When we do premarital counseling we use Prepare and Enrich which is a great help. We then go from there. Another book that has been helpful is Love and Respect by Eggerichs. Love & respect is a book I highly recommend. Based on biblical principles and totally worth getting time and effort! Changed my marriage for life!